With a background in expositions, corporate events and weddings Rachel Vansell can be described as well versed in event planning. An Oklahoma girl with a Bachelor’s Degree in Hospitality / Tourism Management from Northeastern State University who constantly educates herself with industry trends. She joined Significant Events in 2013 with a passion for details and attitude to exceed client expectations. Rachel’s range of planning reaches from leadership conferences for 1200 guests to creating a banquet hall with a plated dinner in the middle of an open field. She strives to make each event worry free for the client through organization, honest input and creativity. Her understanding of an event’s vision and needs are sensed if the client is 5 or 1000 miles away. Through local resources and hard work Rachel is ready to become a member of your event team. 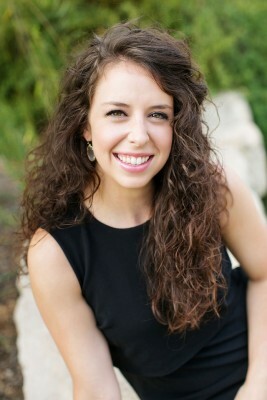 Rachel lives in McKinney with her husband Seth. Rachel was just what we needed for our wedding. Being a planner myself I knew I wanted my hands in it all except for the wedding day and that is exactly what happened. I not once worried about the set up of the day or the schedule. I had complete faith and trust in Rachel simply because she was amazing to work with in the pre-planning process! A bride would be silly to not work with Rachel Vansell! I just wanted to say thank you and let you know what an amazing job Rachel did to help make Meaghan's day so special! She was not only helpful but so kind and always had a smile on her face! I was able to relax and spend the day with Meaghan and enjoy the ceremony and reception. I'm so grateful and wanted to let you know what a blessing she was to our family! It was such a turnkey event to celebrate our employees and was ran so efficiently that if your staff was resolving problems-we didn’t even notice there were any! Rachel and the team were on top of every detail. I was so impressed with her demeanor and control during the rehearsal as well. I felt very cared for and relaxed during my portion of the evening. I love being surrounded by professionals. Planning a wedding 600 miles away is so challenging, but Rachel helped tremendously by being available for any questions or concerns I had. She would text me at anytime to work with my crazy schedule, which I really appreciated! She made some really neat suggestions for our wedding that I think helped make it very unique to Chip and me. Rachel ensured that the rehearsal, wedding, and reception flowed smoothly. She really thought of everything – right down to the to-go box of food and wedding cake in the get-away car. She did such an outstanding job overall – I will definitely be recommending Significant Events to anyone having an event in the area! Thank you again!! Rachel, and her assistants, nailed it. There’s no other way we can say it. We honestly had no worries the day of the wedding. We had so much trust in Significant Events that we asked no questions when guided outdoors for a picture – in the dark. That dark picture turned into the most amazing surprise of a fireworks show. Thank you for making our special day so perfect! Your staff was so professional and detail oriented. When I walked in our venue for the first time my heart was so full! I don’t think I could have done better!! Our wedding day was honestly stress-free and just simply flawless. Many people said it was the best wedding they’ve ever been to! Thank you from the bottom of our hearts for making our wedding day magical! Rachel did a fantastic job helping to plan and to coordinate our wedding. Her communication between us and the vendors was very timely. Every time I had a question, concern or needed something from her, Rachel responded very quickly to make sure I got exactly what I needed. Her suggestions of vendors was great and she was very conscious of our budget. Rachel and her team were wonderful the day of. She organized everything with grace, and I was able to be stress free with her there! Again, I am so thankful! !